On Monday afternoon, July 23, 2018, Cal Fire and National Park Service firefighters got a call about a large fire that had begun between Carr Powerhouse Road and Highway 299 near the Whiskeytown National Recreation area in Shasta County, California. A malfunctioning vehicle had burst into flames, and the embers caught by the wind were quick to ignite the surrounding the landscape. 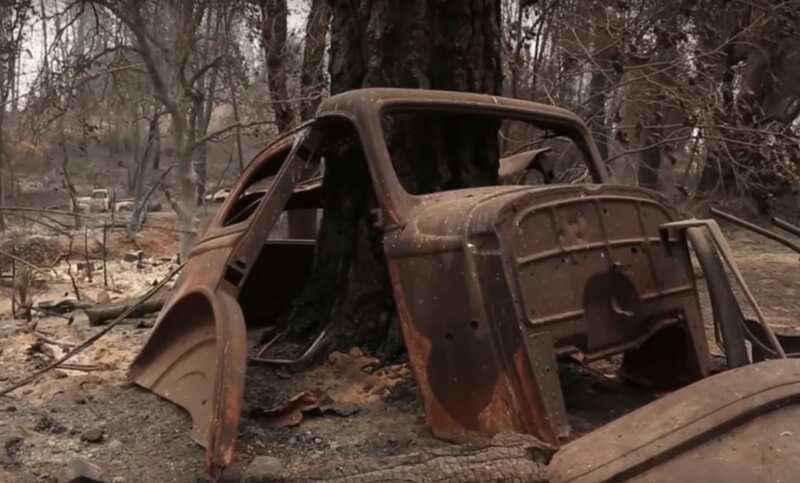 No one knew at the time that the blaze, later dubbed the Carr Fire was to become the most devastating fire in Shasta County history. Authorities were quick to respond, but the dry conditions unfortunately proved too much for their fire suppression efforts, and by Tuesday morning the fire had already engulfed over 2500 acres. At this point, the fire was only 5% contained. By Thursday, 20,000 acres had gone up in smoke, and by Saturday, 40,000. Over a week later, the inferno was still going strong as ever, now with 100,000 acres burned and over 1000 structures in the area engulfed by the flames. For the next month, firefighters continued to work night and day to contain the spread until ultimately on August 31st, the fire finally burnt itself out. 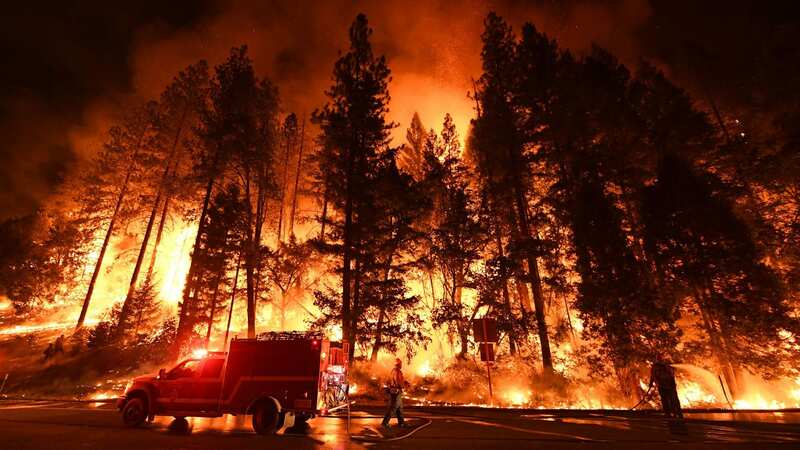 In the end, over 200,000 acres and 1000 homes in total were consumed by the blaze, making the Carr Fire the 6th most destructive fire in California history. In addition to the buildings and acreage lost, thousands of animals were also injured or displaced. 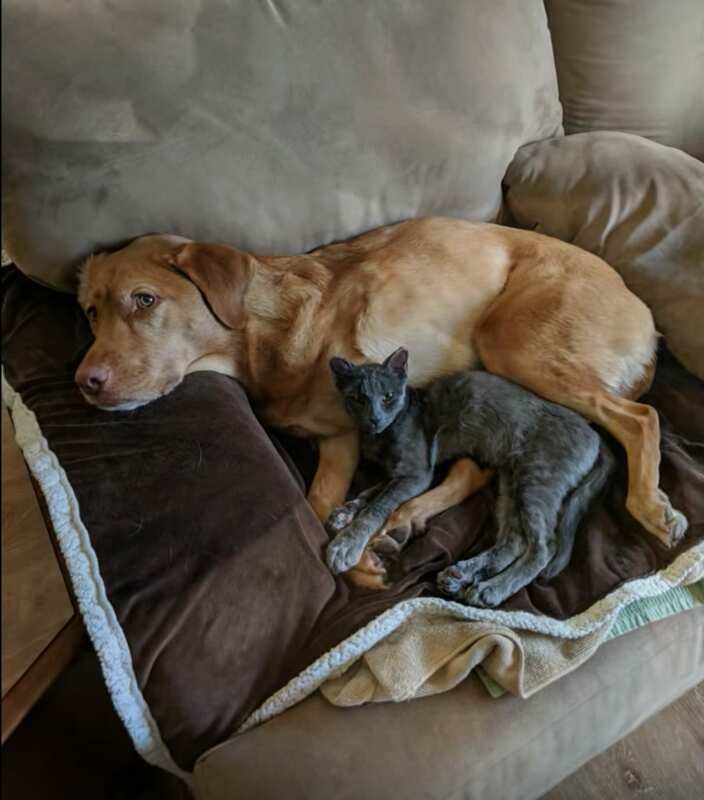 In a heartwarming video that is going viral across the Internet, one Shasta County Animal Regulations Officer, Dan Evans, tells his story of what happened when he found and rescued a kitten that had been caught up amidst the devastation. While he was searching in and around the area of Redding, California, himself and Sgt. McIver located a severely injured grey male cat. When they tried to approach the tiny kitten, it took off hiding under the shell of a burnt out vehicle. The poor kitten must have felt so scared and alone. With the assistance of PG&E, they were able to lift the vehicle, but they still couldn’t quite reach the kitten. Although the crew had to continue on with their work for the day, Dan still couldn’t get the kitten out of his mind. For the next several days, he would return again and again to the site to try and get the kitten out, and finally on his fourth attempt, he succeeded. 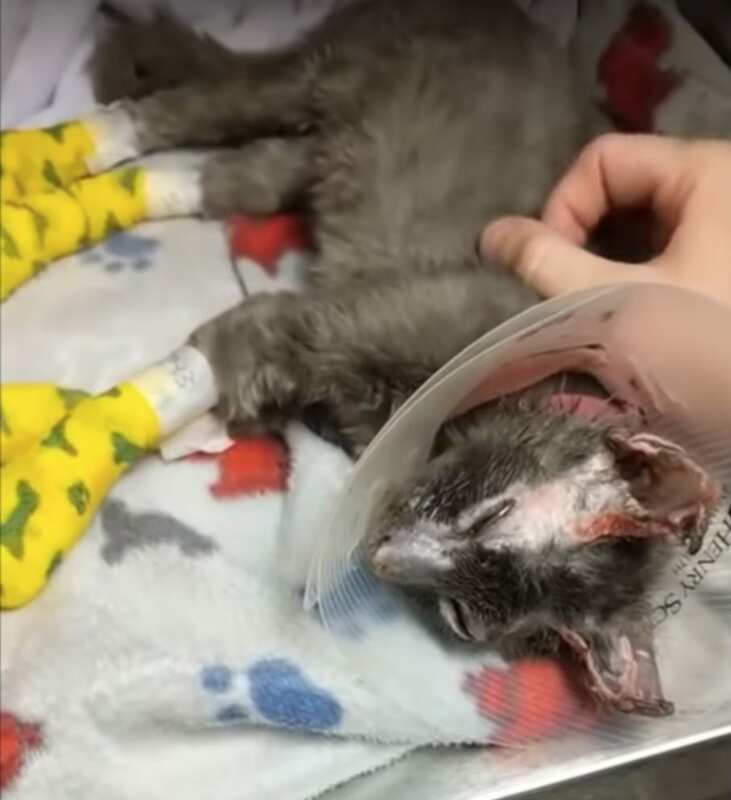 The kitten was covered with third-degree burns on all four paws, his eyelids, and ears, but somehow he had managed to survive. 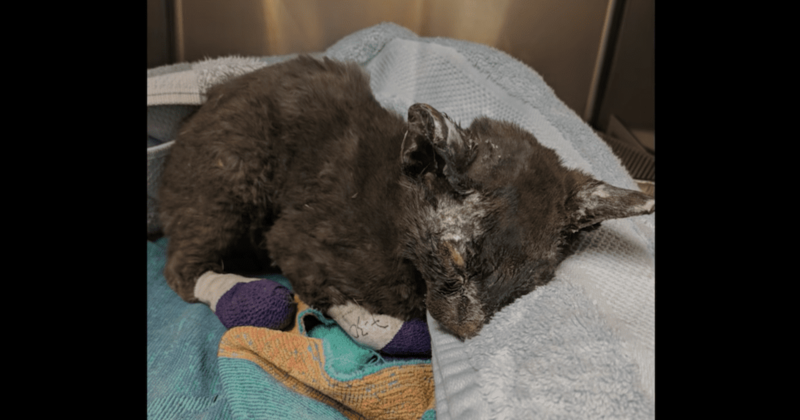 They took the kitten to an animal shelter, Haven Humane, where the amazing staff never gave up on him, and over the next several weeks, he was slowly nursed back to health. Dan came to visit him every day, and during this time he fell in love with the little cat. He knew he was going to adopt him, and on July 31st, he named the kitten Vulcan, after the Roman god of fire. Ultimately a month later, Vulcan was finally healthy enough to be released from the shelter. Dan picked him up and took him to his new home. Although we can’t imagine how traumatizing Vulcan’s experience surviving the Carr Fire must have been, it is so amazing how he received his second chance at life, and how lucky he was to end up with such a caring owner. Vulcan even has a new friend now, Dan’s other pet, a beautiful dog named Cali Bear. Check out the video below to watch the heartwarming footage of Vulcan’s rescue.